I bet you could make this yourself. Take an old sole from a sandal that you don't like anymore. Or buy a cheap one at the dollar store or thrift store. Sew three leather loops into the sole and use a long piece of fabric for the sandal. You could easily change out the fabric to match your outfit. Great idea! I bet a strong braided elastic would work for the loops too, for people who don't want to work with leather. Cute! You'd probably have to take them to the cobbler to sew on the loops, though. DIY shoes can get dangerous! 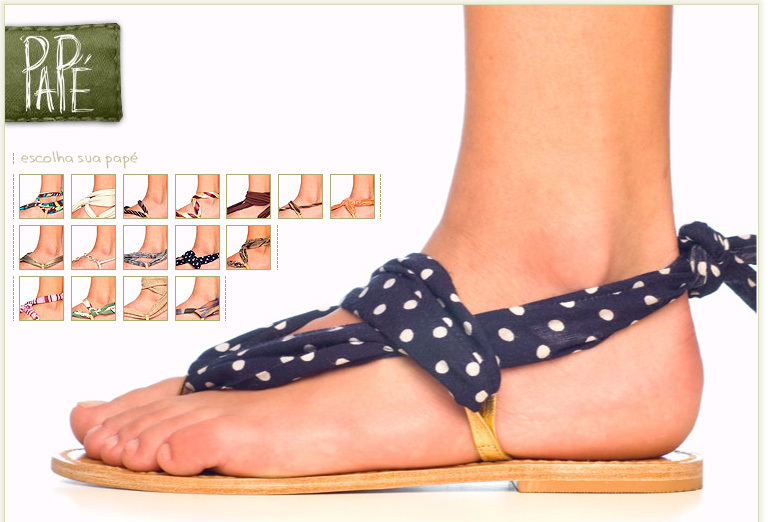 The sandals are made by young women in Uganda, to fund their university education. The 'about' bit on the website goes into more detail, but it's an amazing company. The eventual goal of the founder is to turn the company over to the women who have graduated (those who want to own/run the business....), and then go on to start similar business in other places. I was going to mention Seeko Sandles, but just saw someone else already did. I have a pair and LOVE them. I'm going to make a few extra pairs of straps for them as well! I'm thinking that if you used the base of a cheap pair of flip flops for these sandals. Pull out the plastic Y shape that forms the top of the sanda. Skip the leather loops and just knot the fabric, thread through one of the holes and continue knotting and threading through holes until you end up with the sandal that you want. I haven't tried this yet, it's just an idea. Those are knock offs of "Mohops". I have 2 pair of Mohops and I'm hooked. I don't have flip flops though- might have to try this though it'll probably disappoint as I'm used to the real thing.